St Michael and St Mary Magdalene, Easthampstead! We are part of the Church of England and our parish covers the southern half of Bracknell, although we welcome worshippers from wherever you live. We seek to be 'a welcoming community that worships God, serves others and makes new disciples'. Our main Sunday service is at 9:30am and is reflective of our 'high church' and choral tradition although we have a number of different congregations and services which offer worship for all. We are a busy and thriving church of all ages and have lots to offer for families who might like to join us. Our Church4U service is particularly popular with families. 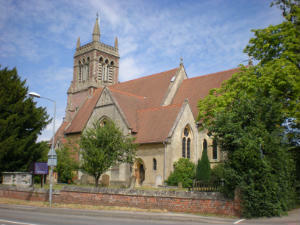 We are also a popular church for Christenings (Baptisms) and Weddings, and love to welcome people into our church for these special occasions. If you are unable to join us please see this week's Pew Sheet with readings and notices to use throughout the week. The PARISH OFFICE will be closed on the following dates: Tues 16th, Wed 17th and Tues 23rd April. It will re-open on Wed 24th April.